With the three-day weekend coming up, you might have big plans to go to on a vacation, by yourself or with friends or family, or you might choose to stay home and relax. No matter what you do, the moon will be watching over you, and its energy is always present in our lives. And the moon phase this weekend could have big plans for you. Even today, it is difficult to look at the moon without a sense of awe for its beauty and wonder. Its borrowed light bathes our world in a veil of magic and mystery, inspiring a sense of something greater than ourselves. What can this mystical orb tell you about your three-day weekend? As you know, the moon travels around the Earth, affecting the tides and the movement of the air in our atmosphere. Meanwhile, it also catches light from the sun, which it reflects back to Earth in varying amounts based on its position relative to the Earth and the sun. A full moon, for example, occurs when the side of the moon that faces the sun also faces the Earth, reflecting the maximum amount of light that can be seen from the ground. A new moon, such as the one right after this three-day MLK weekend, occurs when the side of the moon that reflects the light is facing away from the Earth (and toward the sun). During a new moon, we only see the side that reflects no light, making it appear as though the moon is dark. 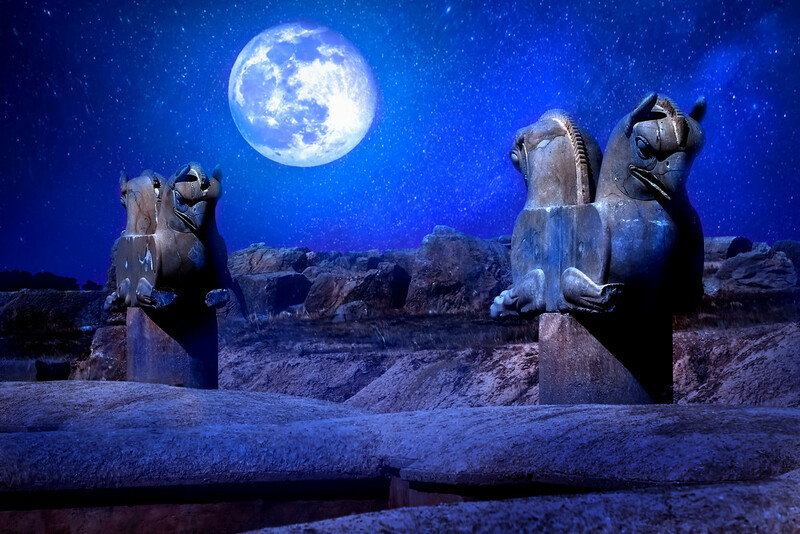 The ancients had a lot of reverence for celestial bodies, and the Moon was no exception. Sages from the Greek, Egyptian, Chinese, Maya, Aztec, Native American, Indus Valley and Polynesian civilizations, among others, noticed that when the moon appeared certain ways in the sky, it heralded events such as weather extremes, behaviors, high and low tides, and a host of other effects that influenced their everyday lives. Because the moon and the Earth were so tightly connected, gods and goddesses associated with the moon emerged and were honored. Goddesses, especially, were connected to the moon due to the relationship between the lunar cycle and the menstrual cycle. The new moon is the beginning of the moon phase cycle (as opposed to perhaps calling it an “empty moon” in contrast with the illumination of full moon). This newness reflects in the spiritual energies that we feel when we observe the moon in its new phase. Because the new moon so closely follows your three-day weekend, it might be a good time to prepare for new projects or meet new people. Opportunities hide in the darkness, opening doorways that were not apparent before. The new moon provides an ambiance that welcomes fresh ideas and experiences. This new Moon falls right after the New Year, too, paving the way for the formation of new habits and routines for a productive year! It pays to know the phases of the moon and their meanings. The moon has inspired countless people throughout history--sages, artists, spiritualists, and even the paths of nations have been guided by its spectral rays. Knowing the phases of the Moon is the key to unlocking the mysteries it has waiting for your future! Or, at the very least, your weekend.